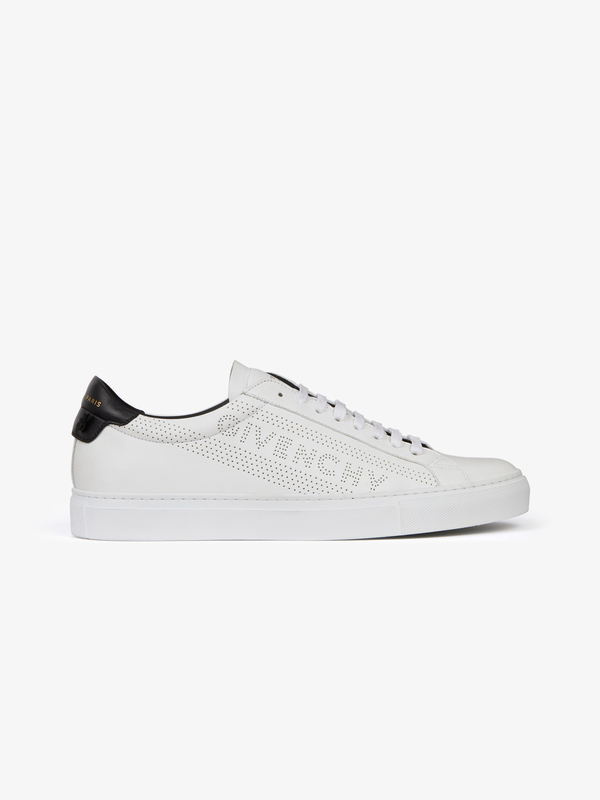 Urban Street low-top sneakers in matte white leather with perforated GIVENCHY signature on the sides. 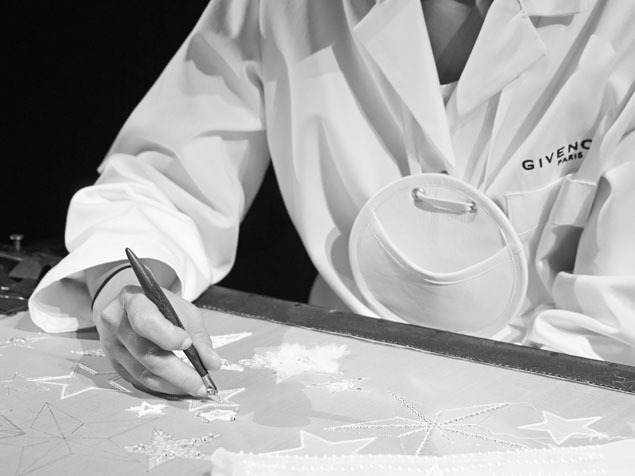 Black leather inset on the back with gold GIVENCHY PARIS signature and bows. Black insole.